The 100% pure and natural premium therapeutic grade peppermint essential oil is steam distilled from leaves, flowers and buds. The potent essential oil provides a strong scent of peppermint with only a few drops. Studies have shown that peppermint oil have many uses such as relieving headaches, migraines, muscle pains, along with relax and soothe sore muscles. Personally, I use a few drops in a warm shower/bath and opens up my sinuses while helping induce deeper relaxation. A definite treat after a long day at work. A fresh breath of air from the typical type of memoirs that usually on bookshelves. The highly entertaining book reads more like a witty choose your own adventure than a memoir. It is creatively written so you get to live his life while learning things about him. The memoir is packed with funny and provocative bits of NPH's life, along with celebrity notes to him, recipes, magic tricks, cute illustrations, and even personal photos. In the beginning, NPH note you can either find fame, fortune and love if you choose correctly or end up miserable. So far, I have ended up with three endings (be sure to keep track of the pages you came from so it easier to backtrack from the ending). Each more depressing and funnier than the last. A delightful read and made me actually look forward to my morning commute. A must read for any NPH fan. Disclosure - I received a copy of this book for my honest opinion. 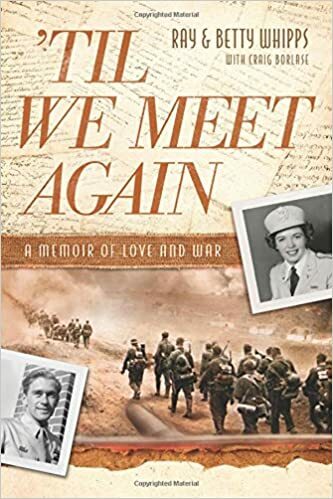 Not to be confused for the 1940 melodramatic black and white film, the book is a memoir of two Christian soldiers falling in love during a time of war (Reminds me a bit of Love in a Time of Cholera). Ray and Betty serve as an infantryman and a field nurse (respectively) during WWII. The duo meet when Ray is injured in a mortar blast and bond over their shared faith and views towards the war. After being healed in Betty's hospital, Ray is sent back into the field and is immediately captured by German troops. The thought of God and Betty is only thing that kept him alive during his brutal time in the POW camp. The story is told by Ray's perspective and Betty's letters to Ray and family. It was an interesting way to tell the story but I would have prefer to have read a bit more from Betty. Roughly two-thirds of the book, Ray talks and describes what happens to him during the war before he meets Betty. While the book is billed as a love story during the war, I wish their romance had a more central part in the book. It was an interesting read to read about what motivated Ray and Betty during the war, having faith and reading a first hand description of war. Although, I found some parts of the boring and lackluster but the ending was great. Disclaimer - I received a free copy of the book for my honest opinion. The serum is enriched botanical cocktail of astaxanthin, shea butter, Japanese Green Tea, Jojoba Oil and Hyaluronic Acid. It is packed with all the good stuff and none of the bad stuff like parabens, bad synthetics, preservatives and dyes. It promises to moisturize, prevent the visible signs of aging from skin damaging UV rays, inclement weather, and estrogen depleting hormonal changes caused by aging. The airless bottle helps protect against product degradation and keeps the formula fresh, plus it looks kind of cool on my nightstand. While the company promised a light herbal fragrance, the scent reminded me a bit of turmeric. I was a bit hesitant in using the serum in the daytime as being Indian I don’t want to use products that make me smell like curry. I personally didn’t notice any turmeric in the ingredients list but turmeric is a very good for the skin but I just rather not smell like it. I have used the serum every day night before bed and I woke up with smoother and softer skin. The serum is concentrated and lightweight so only a little is needed to provide results. I would get this again and would love to try the other products from Mirai Clinical. Know your freebies - when buying from a dealer or gallery, make sure to ask if the price includes the frame. For a lot of first-time buyers, it does. Defray costs - hit up Ikea for budget frames, or join Michaels mailing list and wait for coupons, which can custom framing prices nearly in half. Use your accents - if your room has a bold accent color, try matching the frame to that. Got a neutral palette? Match the color of the floor. Separate lights and dark - lights frames help a space look bigger. Darker ones draw attention to the fact that a room is small. Master the salon - when collaging a bold or colorful work with less eye catching ones, don’t hang the focal piece in the middle. Use the pinwheel technique: disperse artwork loosely around the center of the wall. And use frames of a single hue. Tame the mix - if salon style chaos isn’t your thing, try hanging art of different sizes and mixed media [a mask, an etching, a painting, a photo, etc] in a grid a bold but restrained effect. Improved concentration - experienced meditators’ brain show more activity in the areas that control attention and focus than those of people who don’t meditate. Weight control - in preliminary studies, meditators who practice “mindful eating” (focusing attention on the sensory experience of a meal) were able to control overeating more successfully than non-meditators. Less uneasiness - after analyzing nearly 19,000 studies on meditation. Researchers found that mindfulness practices ease anxiety. Decreased stress - studies has found that meditation can reduce the expression of genes linked to inflammation and stress. Ah, a cookbook that has different techniques to cooking delicious and healthy foods! The cookbook employs 12 different cooking techniques to help put nutritious food on the table. Readers will learn how to make many great recipes like stir fried pork tacos and risotto with edamame from the microwave. The cookbook is packed with 175 recipes and is organized by cooking technique used. Each easy to read recipe is accompanied by nutrition facts and along with helpful tips. There are also blurbs in the beginning of each recipe that provides additional information. The one downside of the cookbook is that it only has 8 full page colors photos and it seems to be placed in a random locations. The book also has instructions on each technique, helpful guidelines on cooking and preparing foods, how to stock a healthy kitchen along with many other useful information. There were a couple of recipes that look delicious and have minimal downtime. A great cookbook for people who are actively trying to eat healthier. The purple lip balm goes on smoothly and has a satin shine finish. The glossy lip pencil is enriched with peppermint and shea butter to soften and hydrated lips. It is playful enough for Spring or Summery days as it is not thick or heavy.